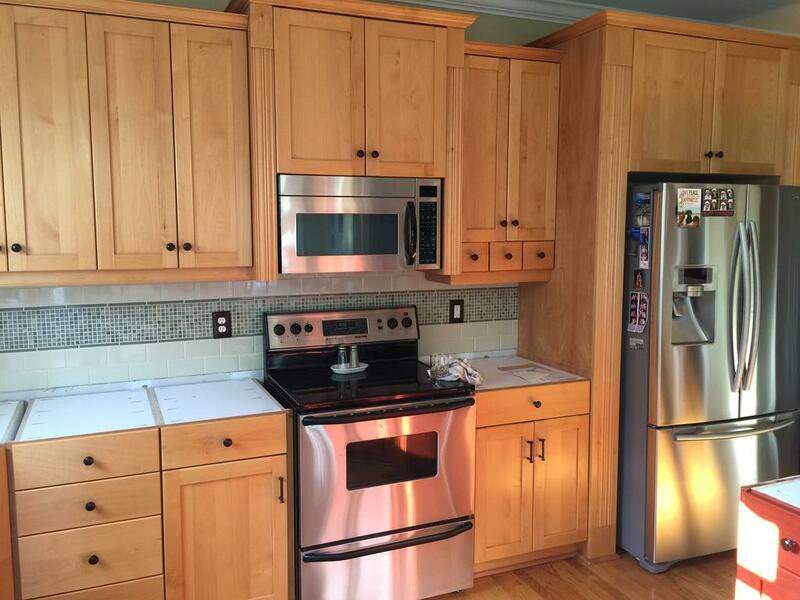 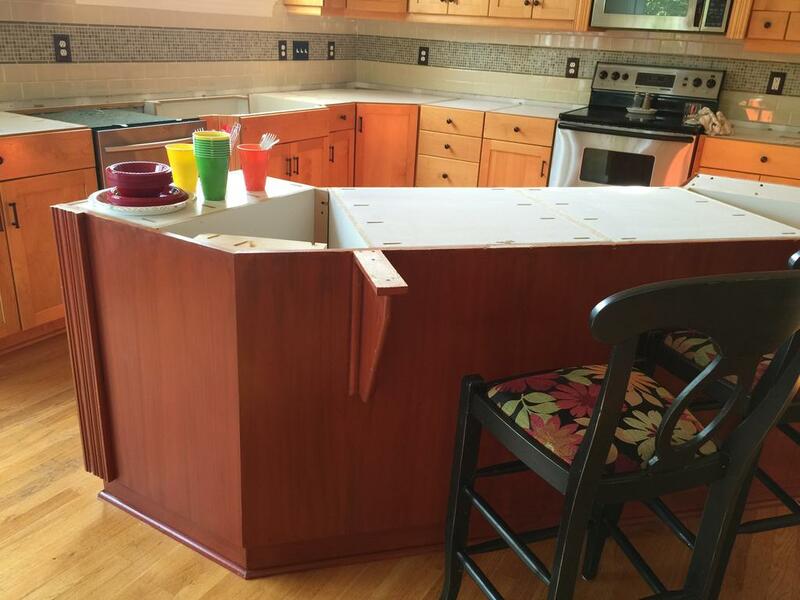 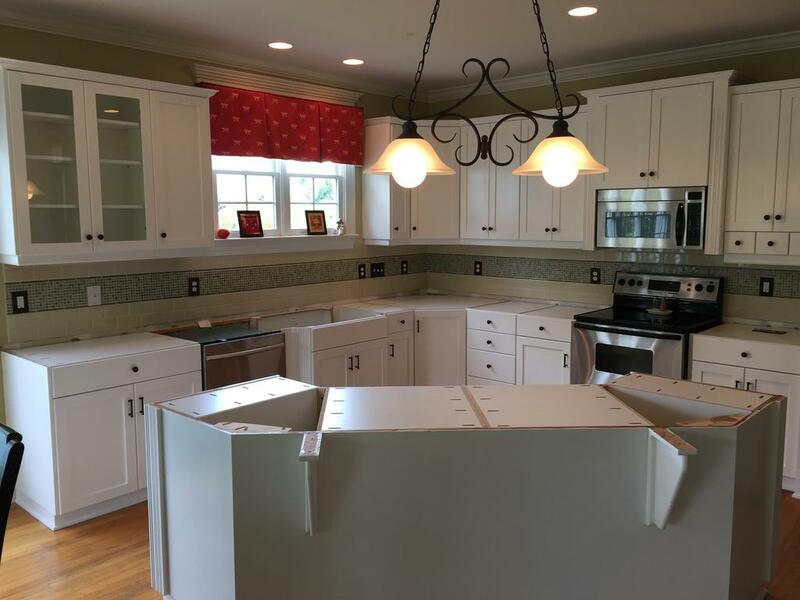 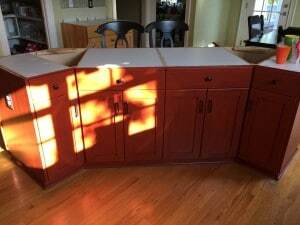 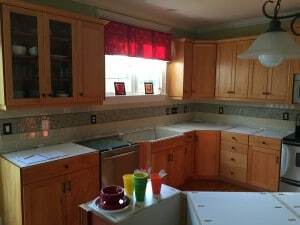 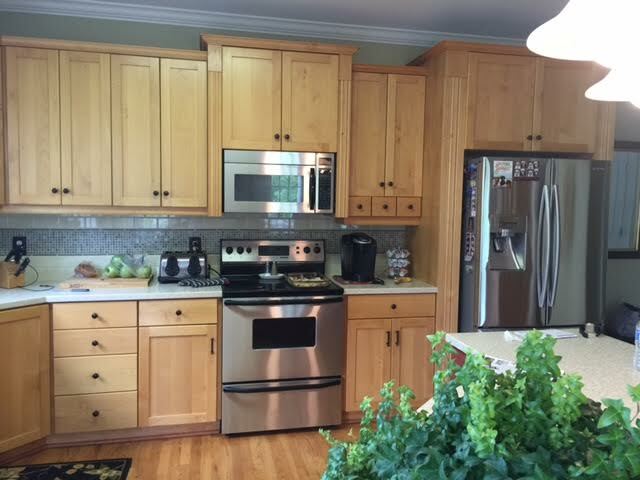 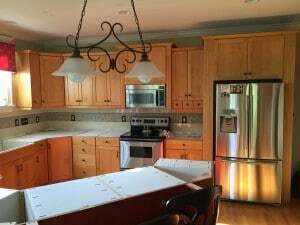 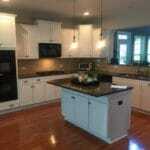 Another case of the brown cabinets blending into a brown floor. 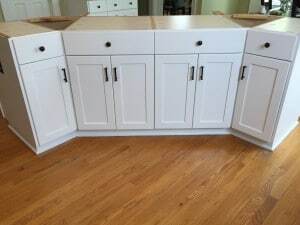 Snooze. But this customer wanted a full on change. 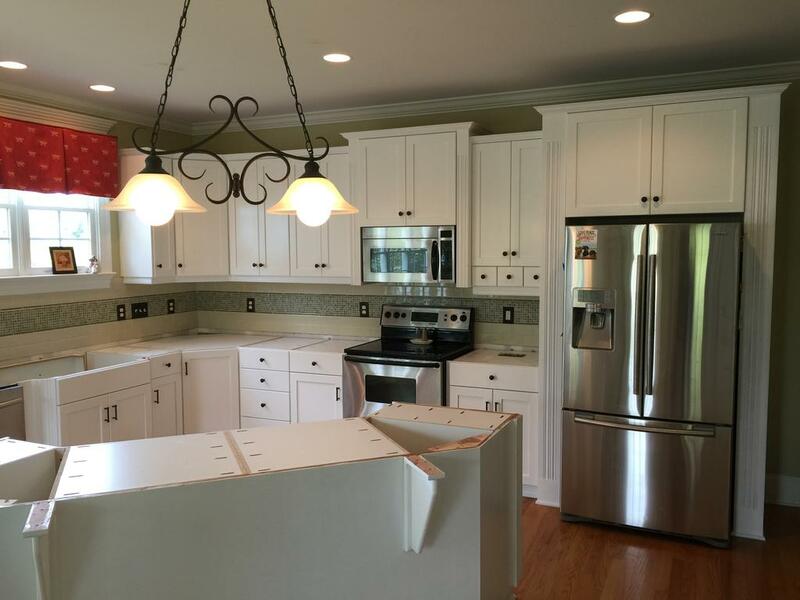 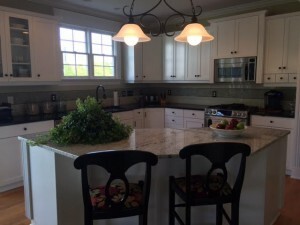 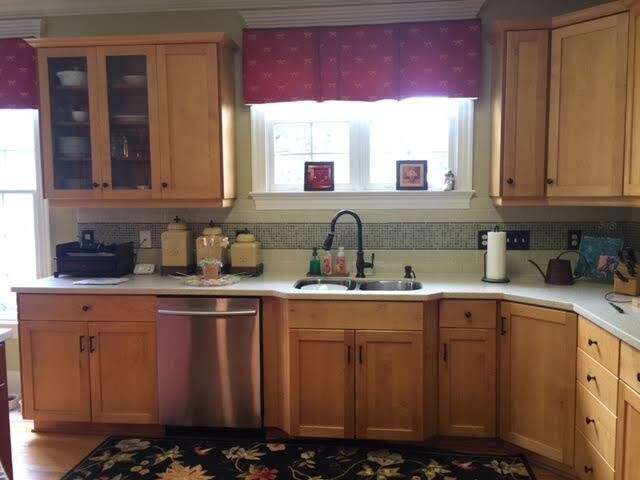 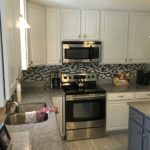 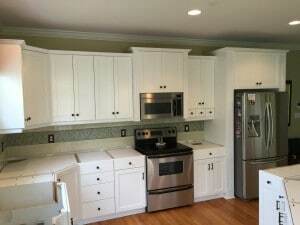 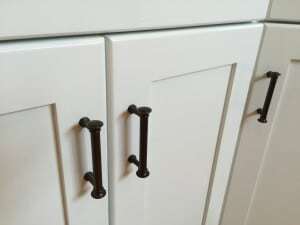 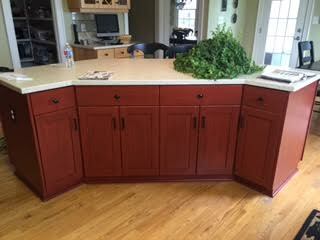 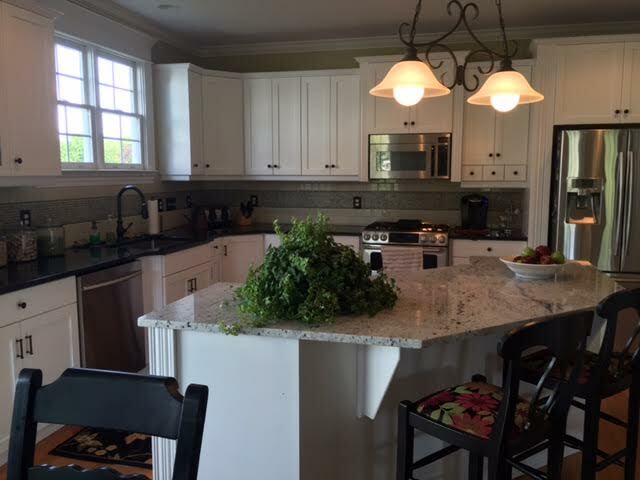 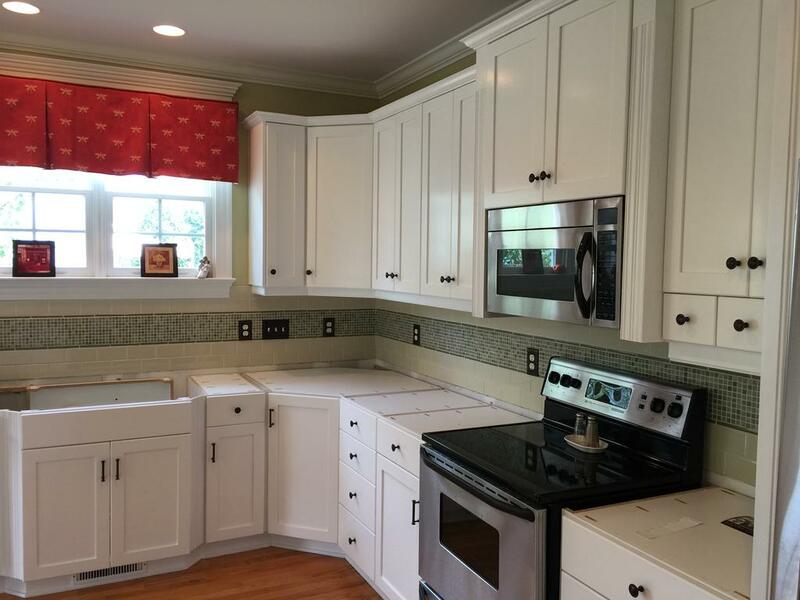 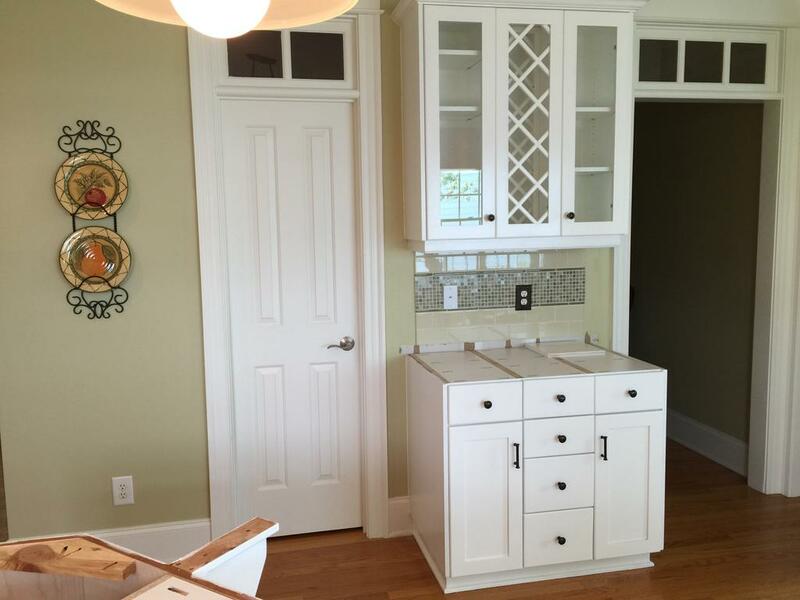 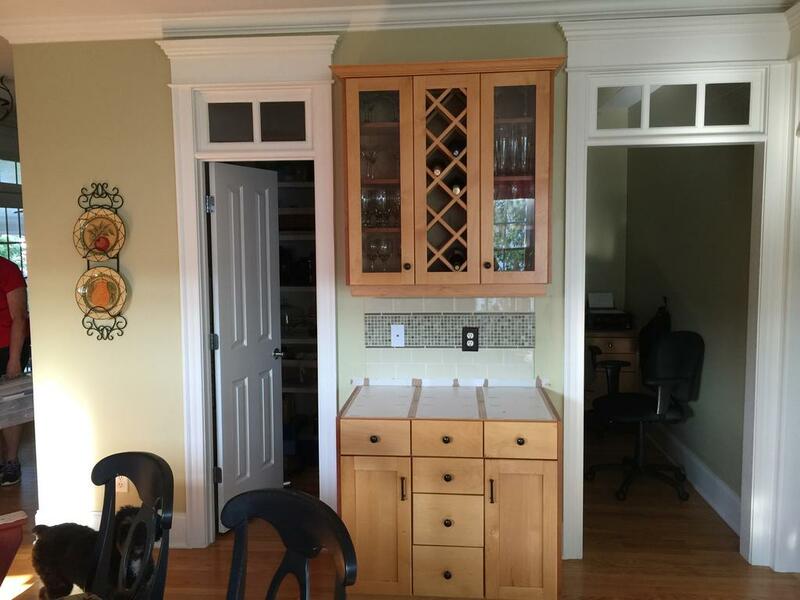 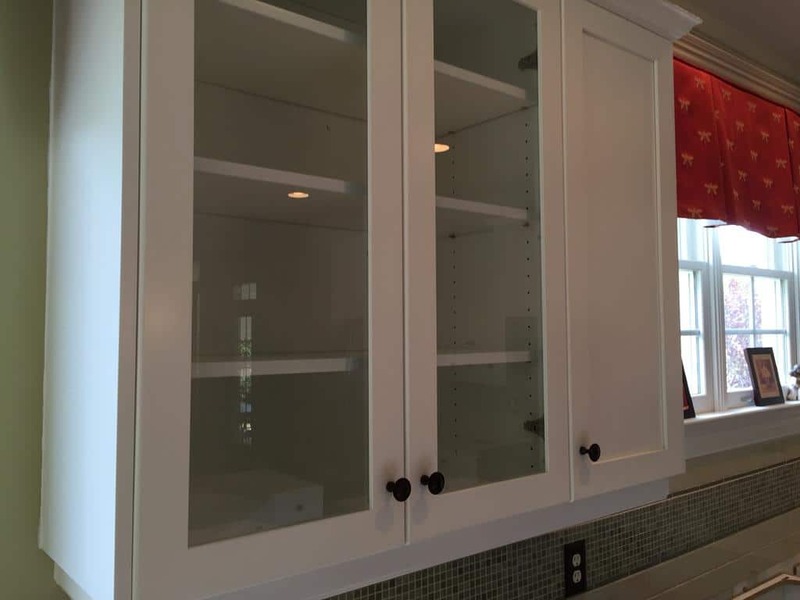 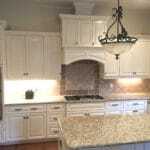 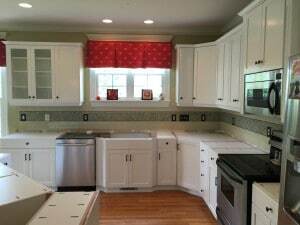 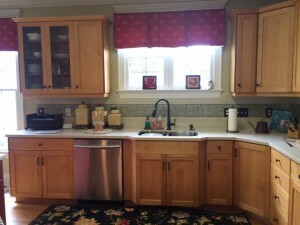 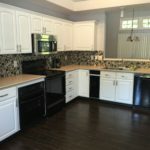 New cabinet color, new island color (no more red! 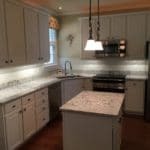 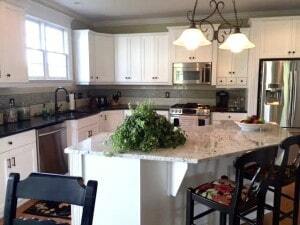 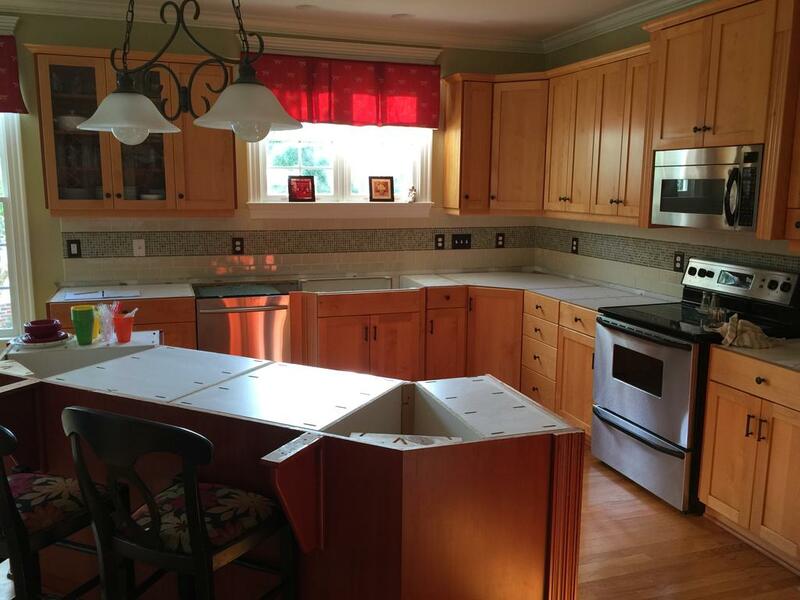 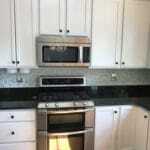 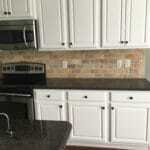 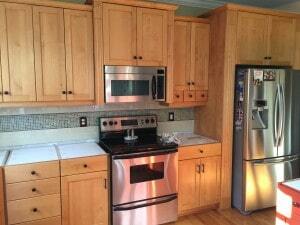 ), new counters and new backsplash. 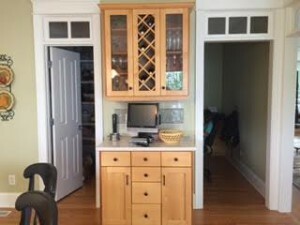 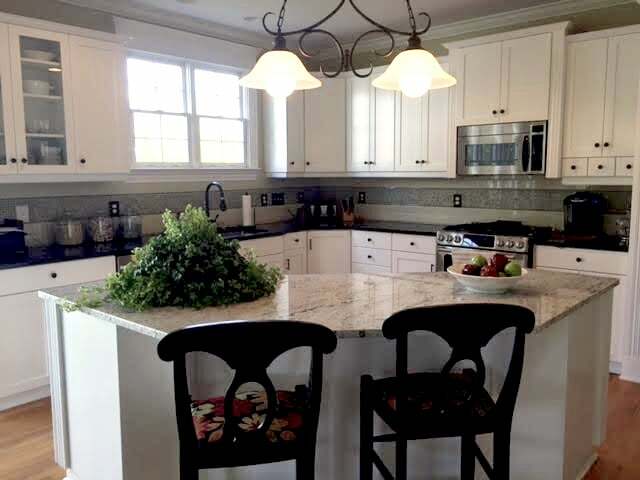 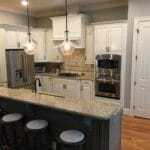 Now this ho-hum kitchen is a dream kitchen, fit for a chef!